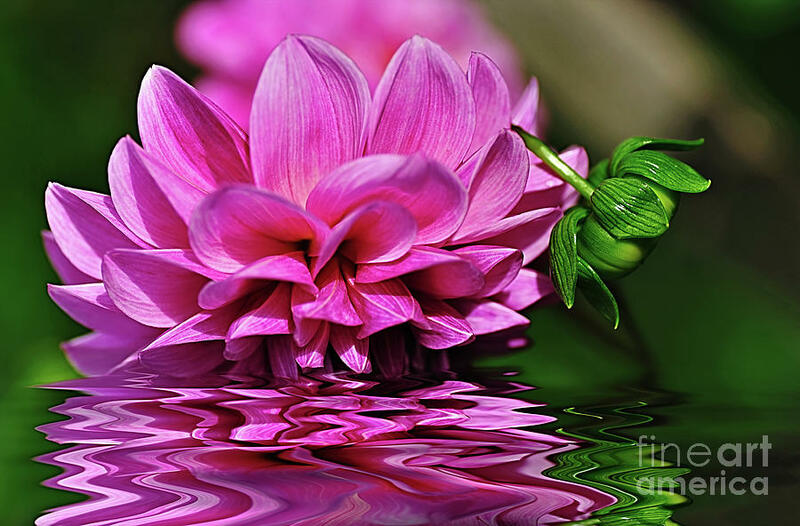 Dahlia On Water is a photograph by Kaye Menner which was uploaded on January 20th, 2013. 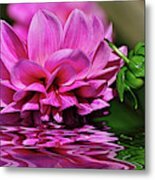 **ACHIEVED SHARED 2ND PLACE IN FAA CONTEST - "Over 10,000 Views" June 2016. 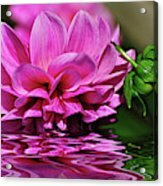 THE FINE ART AMERICA LOGO WILL NOT SHOW ON PURCHASED PRINTS OR PRODUCTS. 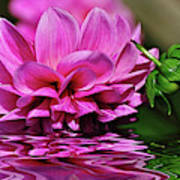 A beautiful pink Dahlia with new glossy bud, showing its amazing reflections and colors on the ripples of the water. Dahlia is a member of the Asteraceae family. THE FINE ART AMERICA LOGO WILL NOT APPEAR ON PURCHASED PRINTS OR PRODUCTS. Thanks so much for your comment, Linda :) It enjoyed viewing some of your new artwork and I left a few L/F's in appreciation. Thanks very much Kay for your kind comment and congratulations. It was a pleasure viewing your new artwork and I left a few L/F's as a thank you. Absolutely stunning with such rich color and detail Kaye! Thank you so much, Ann for your kind comment. Thank you, Joyce for your wonderful feedback, so glad you enjoyed it. Gorgeous color and a beautiful effect, Kaye. Thank you very much, Kathy for your wow and v/f. Wow, I love this Kaye! Fav and voted! Thanks very much, Byron for your kind comment and v/f. Thanks for your comment and v/f, Phil. Thanks very much Cheryl for your comment and vote.